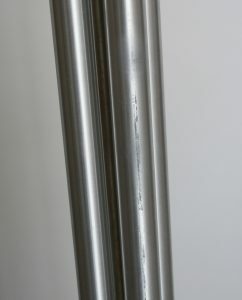 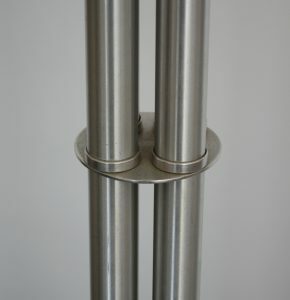 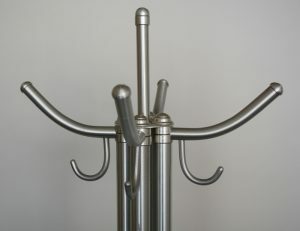 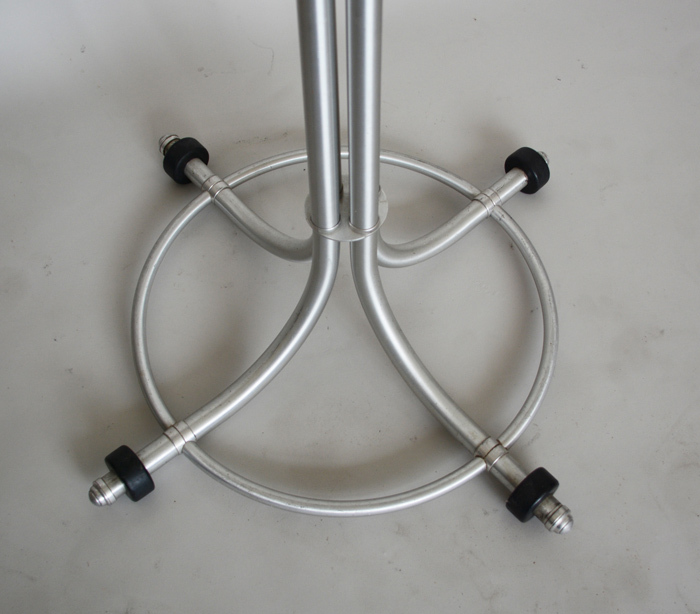 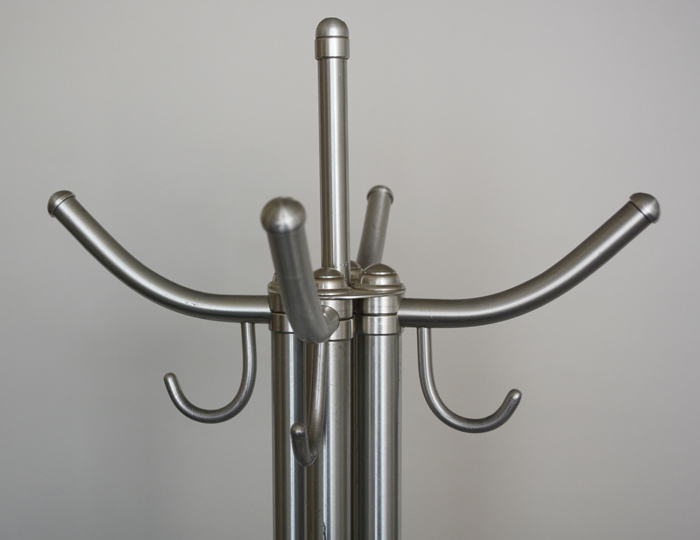 Aluminum coat rack by Warren McArthur. 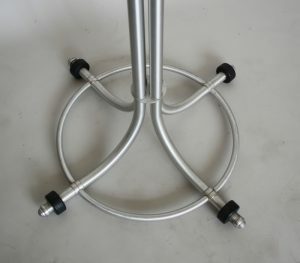 This rack has a slight lean to one side. 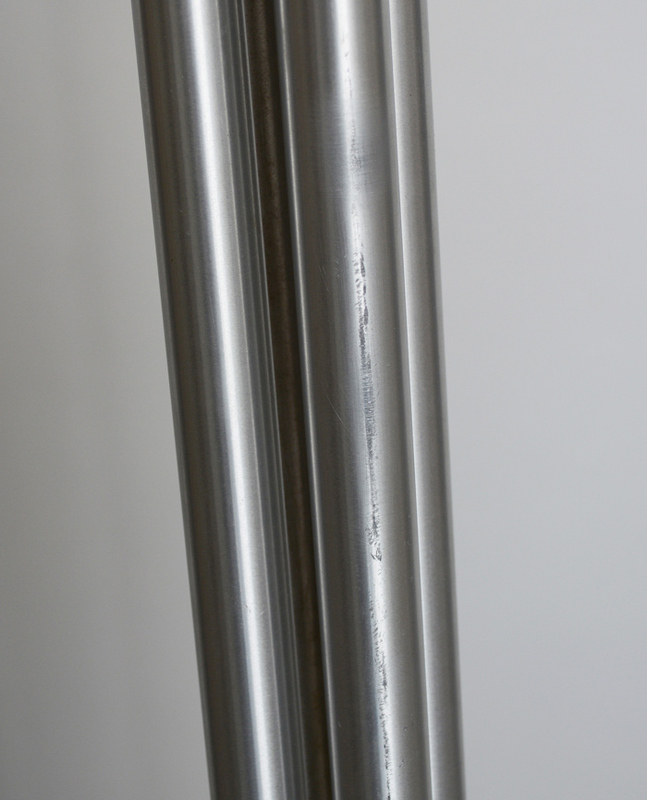 There is some spots of wear to the aluminum.